The model C600 Hydraulic Squeeze Off Tool is designed to squeeze 2 ” to 6 ” MDPE and HDPE pipe safely and effectively. The C600 features 8-sided, positive locking, indexable gauge plates, a centering plate to ensure proper alignment, and upward pointing hydraulic connectors for easy access when the tool is in the pit. Moveable carrying handles turn inward to decrease tool width for easy storage and working in con fined spaces. Locking pins allow the handles to be secured in the inward or outward position using dual plunger pins. Other features include aircraft grade aluminum squeeze bars, chrome plated steel side shafts and a 10,000 PSI system with quick connect fittings. 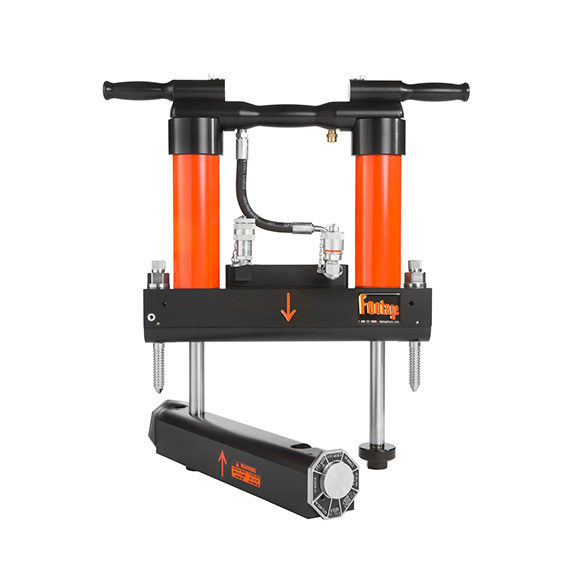 The unique lock-in / swing-out bottom bar design allows for quick and easy access to the pipe, even in confined spaces, and the lock down bolts ensure that a squeeze is maintained if the hydraulics are disconnected. The C600 also offers an optional grounding spike and custom gauge plates are available upon request.